Did you know our members save 10% on bookings? Join today. Create a Zara Tower account and receive 10% off every booking, forever. Beneﬁts of booking directly with Zara. A luxury, spacious and bright two bedroom, two bathroom apartment featuring a balcony - perfect for a family, group of friends or work trip. Bedding configuration can be either singles or kings in either of the 2 bedrooms. Our Luxe Apartments were designed with a heavy focus on light and space, and are emphasised by a clean, welcoming environment featuring plenty of natural light. 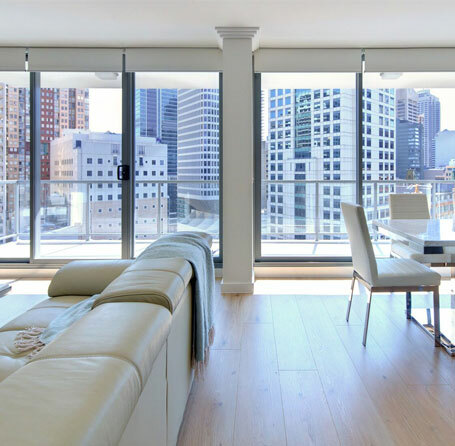 These apartments are highlighted by a perfect contemporary design with functional furniture and premium amenities. With ample space for work and leisure, our Luxe Apartments will give you the comfort you desire and will help you relax with reverse-cycle air-conditioning, gourmet kitchen appliances and spacious bathrooms. Please note, if cancelled, modified or in case of a no show, the total cost of the reservation will be charged. Select your preferred bedding configuration for each bedroom. Luxe Apartments offer a choice of pillow to ensure a restful night’s sleep. Make yourself at home and enjoy the 50-inch flat-screen TV with cable channels, Netflix and free WiFi. Not what you were looking for? We also have these rooms available for your selected dates. Luxury penthouse living in a perfect location in Sydney's CBD. Penthouses can be configured with either singles or kings in all 3 bedrooms. 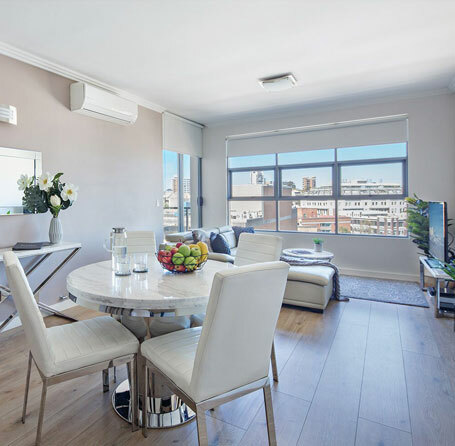 A luxury one bedroom apartment in Sydney's CBD perfect for work or leisure. Bedding can be configured as either singles or a king. 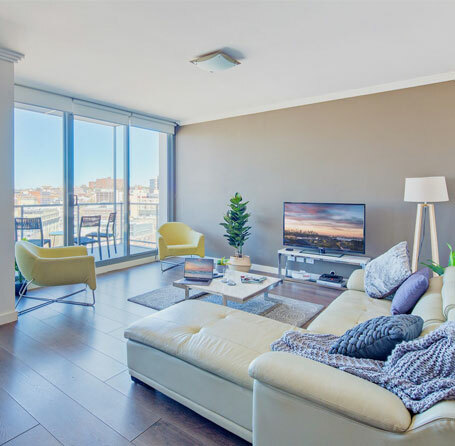 A spacious and bright three bedroom, two bathroom apartment featuring a balcony with a view - perfect for a family, group of friends or work trip.